TED is a nonprofit organization devoted to spreading worthwhile ideas. 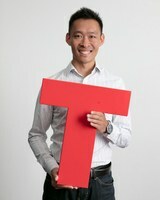 TEDx is a program of local, self-organized events that bring people together around a TED experience. The first TEDx in Valais took place in Martigny in 2012. The TEDx Martigny will talke place on September 8, 2017. Since its beginning, ICC has collaborated with TEDx Martigny. All ICC'2017 participants had to prepare a pitch of 10 minutes in order to be part of this event. One team has been selected: EyeViewPost-it. It is a Virtual Reality/Augmented Reality technology to recreate the photo-taking moments.